Thank You For Helping Fund Marquette’s 4th of July! 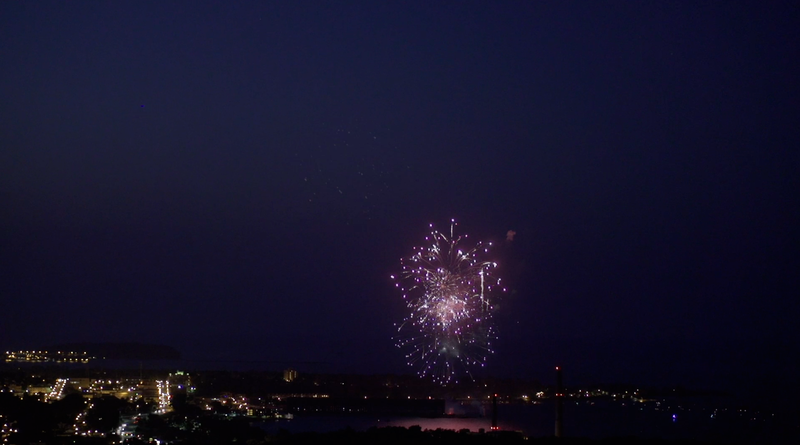 Every summer on the fourth of July, residents of Marquette and the surrounding area gather to watch the parade, enjoy delicious food and take in a spectacular fireworks in downtown Marquette. We are now in the process of funding the 2019 celebration, which will be held July 2-4, 2019. The Food Festival will kick off on Tuesday, July 2. The Parade and Fireworks will be held on Thursday, July 4. If you would like to be involved in this event, we are looking for new members of this committee, please contact us at mqtfireworks@gmail.com. Get ready for a great display! Your Donation Helps Make Marquette’s Parade and Fireworks Display Possible! Tribute - Is your donation in honor or in memory of someone? Let us know here. Know as the “official Star Wars day”, the fourth of May has become a day of celebration for fans of the Star Wars franchise. Teaming up with the 501 Legion, the official screen-accurate Star Wars costumers and local award-winning photographer Daniele Carol Co, fans of Star Wars will be able to get a high-quality and professional photograph with their favorite characters. Patrons will be encouraged to bring their own props and scenarios (Christmas & Graduation photos, wedding announcements) to be photographed for a small fee that will be donated entirely for the Marquette Fourth of July! This fun event will be held at Ampersand Coworking space in Downtown Marquette. In addition to photography sessions, we’re teaming up with local businesses for Star Wars fun for all ages – stay tuned for more reveals!